Congratulations DXN GANODERMA.After only a few years since it first launched in 1993 in Malaysia it quickly spread in different continents and NOW ! it grew to be the 28th among the Top Direct-Selling Companies in the World. 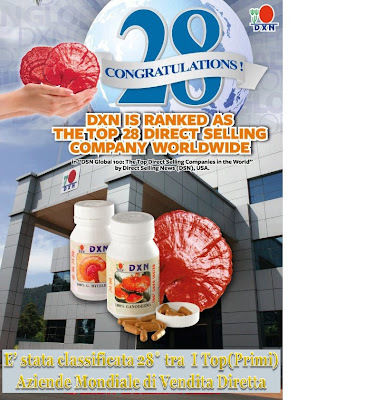 This should be Proof enough that DXN GANODERMA is a compelling product that really stands up to its claims of Best Health and Financial Benefits to its 5 million Distributors worldwide multiplied to their respective individual consumers/buyers.